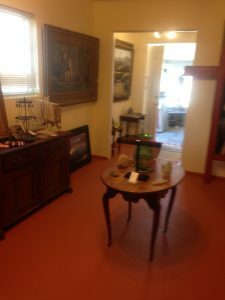 Crystal’s Handmade Addiction & CB Gallery Grand Opening Tonight! Come help us welcome Crystal and Charles to their new location at The Shops at Zanny’s. Tonight in conjunction with the 2nd Saturday Art Crawl. 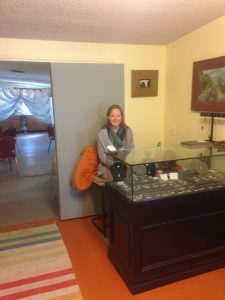 As the shop title suggests, take in the wonderful handmade fiber arts work from Crystal in jewelry, bags and other goodies – including some really cool rocks! AND the exceptional oil paintings from Charles Bartholomew. Work that you see more and more in every time you view! Find them in Suite C in the main building. Visit the popular East Village of Downtown Joshua Tree where shopping, art and friends find treasures and fun. Want the easiest way? Look for the bottle walls on the same side and block of the Joshua Tree Saloon at the corner of Park and Hwy 62.